Home>Featured>5 Best Chinese Smartphones under $200 (November 2018) | Beast to Best! 5 Best Chinese Smartphones under $200 (November 2018) | Beast to Best! There are plenty of smartphone choices at any given moment. You can get a great smartphone under $200 but the problem is you have to choose correctly. In Fact the Chinese manufacturers are turning out to be extremely innovative starting from the truly bezel-less technology with the Mi Mix to VIVO releasing the first in-display fingerprint scanner smartphone. Nobody could’ve ever imagined Huawei to surpass Apple as the world’s second-largest smartphone maker. Anyways in this article we will be specifically looking at 5 Best Chinese Smartphones under $200 as of November 2018. Xiaomi never fails to impress me. That’s exactly what they’ve done with their latest iteration to their android one line-up, the Xiaomi Mi A2. Google’s Android One program allows smartphone manufacturers to focus on the hardware while leaving the software to be handled by Google. Which means you will never miss an update. In terms of design, the Xiaomi Mi A2 provides an excellent user experience. The device uses an aluminium back coated with fingerprint-resistant material. Under the hood the Xiaomi Mi A2 uses Snapdragon 660 chip-set. It also has eight Kryo 260 CPU cores and an Adreno 512 GPU. Further it is powered by 4GB RAM and 64GB Internal memory, what more can you ask! With the combination of stock android and powerful chipset the user experience on Xiaomi Mi A2 is fluid. If the missing audio jack is not a problem & if you care about specs & camera then the Xiaomi Mi A2 could be the best choice under $200. In-Fact the Xiaomi Mi A2 is undoubtedly the king of budget smartphones. The Xiaomi Redmi Note 6 Pro is one of the biggest attempts of Xiaomi to bring the mid-range specs to the budget price tag and they’ve definitely succeeded in doing so. Cut-short it’s a massive upgrade to the Mi A2 lite. 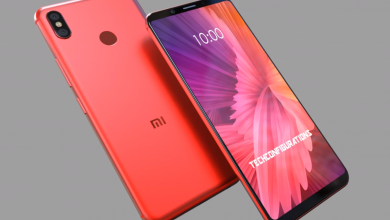 The Redmi Note 6 Pro comes with 6.26″ inch display with 1080×2280 pixels. The display is super-lit, it can pop up-to 480 nits of max brightness. Probably this is the most color-accurate display under this price-range. Another most attractive aspect of the Note 6 Pro is its massive 4,000 mAh powered battery. The major draw-back when compared to the Mi A2 Lite is that the device doesn’t support fast charging. Although it can charge up-to 30% under 28 mins. The camera is definitely its USP. The Xiaomi Redmi Note 6 Pro offers a notch that holds a 20-MP sensor with an f/2.0 aperture and a 2 MP for portrait mode. On the rear you can find another dual-camera setup with 12MP and 5 MP sensors. Isn’t this just brilliant for a under $200 smartphone! The IPS panel is at high-end smartphone level further to add cherry on-top, the device offers dual front-facing camera. There is no doubt that Xiaomi has built a great budget smartphone. The Xiaomi Mi A2 Lite is a worthy consideration from the recent days. Screen quality is usually a huge drawback in cheaper smartphones but say what! The Mi A2 Lite has killed it by providing a 19:9 FHD 5.84” screen panel. Although it is not exceptional, it’s still admirable. The Mi A2 lite unleashes a powerful 4000mAh powered battery. The battery claims to play music for up to 34 hours or make a call upto 19.5 hours and all of this in just single charge. The device lacks fast charging. Under normal circumstances the device can charge upto 30% in just 25 minutes charge time with the 5V/2A stock charger. Huawei is the world’s second largest smartphone manufacture with some amazing smartphone line-ups. The Huawei Honor 9 Lite is a worthy competitor playing in the budget segment. The Honor 9 Lite brings lesser-bezel appeal of modern flagship phones but for an affordable price tag. The smartphone weighs only about 149gm. The design undoubtedly stands out and gives a very premium feel. The display is another important aspect of the Huawei Honor 9 Lite. The device is equipped with a Full-HD+ IPS panel, with a slightly odd 18:9 aspect ratio. Usually taller displays are hard to handle, but fortunately the EMUI firmware brings in a lot of gestures that comes handy at times. The device houses a octa-core Kirin 659 processor and further powered by a 3GB RAM. Which is plenty enough for everyday multitasking experience, and simple games. Although games like Asphalt 9 did face some glitch here and there. On testing GFXbench gave a score of 21fps which is pretty good for a budget smartphone. The Honor 9 Lite not only casts a rear dual camera setup, but it also provides the same aesthetics to the front-facing camera. Surprisingly both the rear and front are equipped with a 13.0MP & 2.0MP depth sensor. The 2MP Sensor is used for both Portrait and Wide Aperture modes. The Wide aperture mode lets you adjust value from f/0.95 – f/13, which means you can adjust the depth effect even after the photo clicked. If camera is an important aspect for you to choose a smartphone, then the Huawei Honor 9 Lite could be a great choice! The Redmi Note 5 smartphone was launched in February 2018 and still managed to make up-to the top 10 smartphone list. Redmi Note 5 turned out to be one of the best selling smartphones of 2018. Upfront the Note 5 has a 5.99-inch Full HD+ IPS panel with 2160 x 1080(403ppi). The display is great, colors are vivid. Although the only drawback in terms of the display was the slight yellowish tint. If you’re able to calibrate using a software then that wouldn’t be a problem. Under the hood is where the Xiaomi Redmi Note 5 Pro shines. The device is powered by Qualcomm Snapdragon 625 chip-set & 3/4GB of RAM. The Snapdragon 636 Octa Core 1.8GHz chip-set might not be as powerful as the 636 but definitely has a great balance between performance and power management. The device is a beast, there’s no performance lag at all. The Xiaomi Redmi Note 5 packs in 4,000mAh which squeezes two days of battery life. If you want a beastly performance under $200 then the Redmi Note 5 is a great choice. We hope that you love our list of the Top 5 Best Chinese Smartphones under $200 (November 2018). Your favorite didn’t make up the list? Then let us know by commenting.